Christa Watson Sewlebrity Soft Pants Stitch-In! Home » Sewlebrity Soft Pants Stitch-In » Christa Watson Sewlebrity Soft Pants Stitch-In! In this episode of the Sewlebrity Soft Pants Stitch-In, Pam and Lynn talk with Christa Watson, modern quilter, teacher, and author extraordinaire! Learn more about the life of a travelling quilt teacher, quilting on a domestic machine, and what it means to be “fun-sized”. 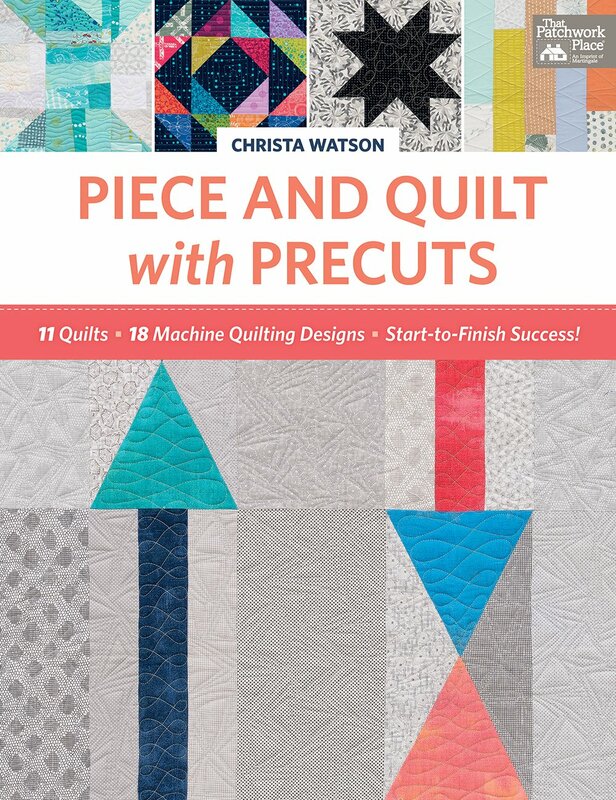 Check out the recent blog hop for Christa’s new book, Piece and Quilt with Precuts, for some fun modern quilt inspiration. You can get a autographed copy direct from Christa directly at her shop, on Amazon or at your local quilt shop! Thanks for the fun interview. You gals are always fun to hang out with!